Kids and adults of all ages love this quirky, fun and interactive addition to any party or wedding. 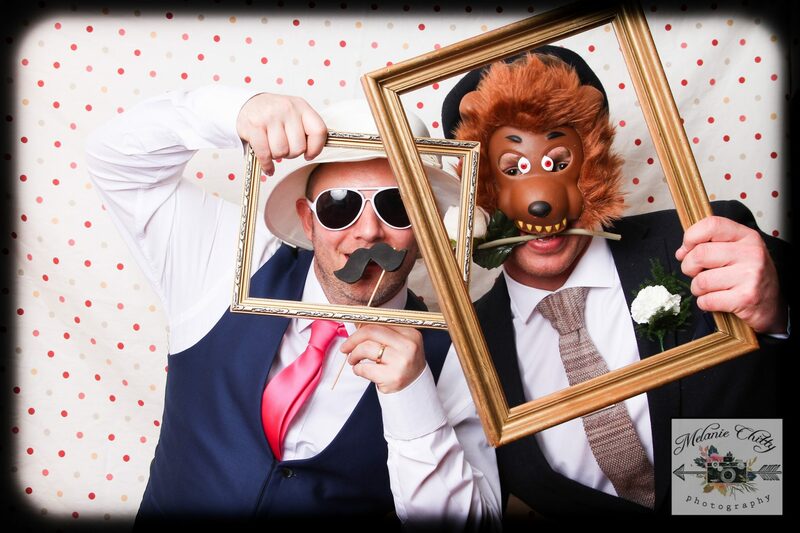 Boasting a choice of 5 awesome themes with a vintage style prop box- this fabulously unique Photo Booth will have your friends giggling and joining in all throughout the night. 4 hours set up and shooting time with unlimited photos taken. A choice between Polka dot, Comic Book Glasses, Vintage Balloons, Hollywood Red and Floral style backdrop. A suitcase of props including moustaches, chalkboards, frames, hats, wigs and many more. Full Post production on all pictures. All images are posted to my Facebook and Website page by 12.00pm the very next day for all your guests to tag, share and download. You receive an online folder with all your high quality images to download.